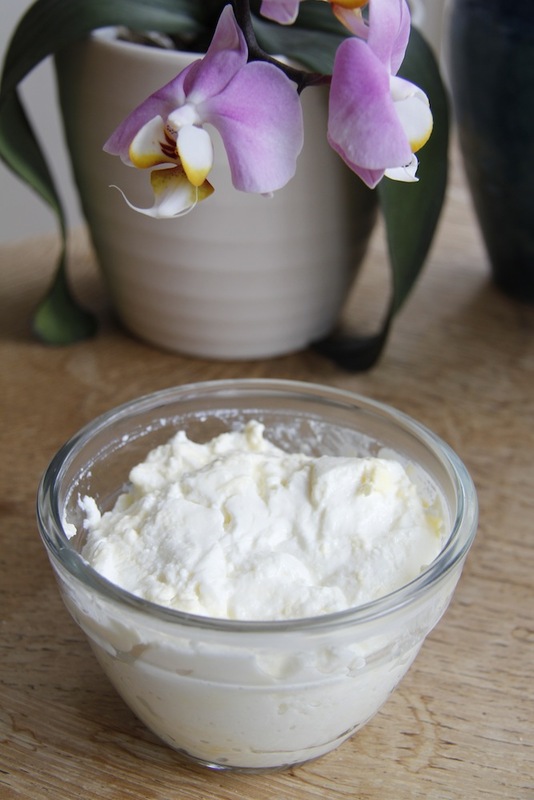 I had a mini life-changing experience at the weekend – I finally got round to making my own yoghurt. It is so easy. 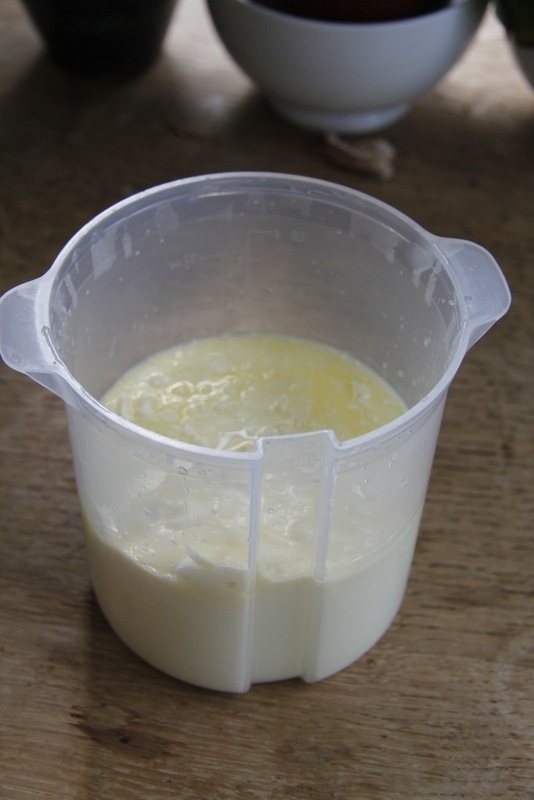 It also means that now I no longer have to buy yoghurt, I can make my own from raw milk from the calf at foot dairy. I am sure that the Yeo Valley organic cows are happy cows, but I know exactly how the cows are kept by Fiona, and importantly the calves get to stay with their mums and are naturally weaned + it is very local. To make the yoghurt. I took one and a half pints of raw milk and brought it to the boil and then simmered it for about 7 minutes. After that I let it cool down until it was about 45C. 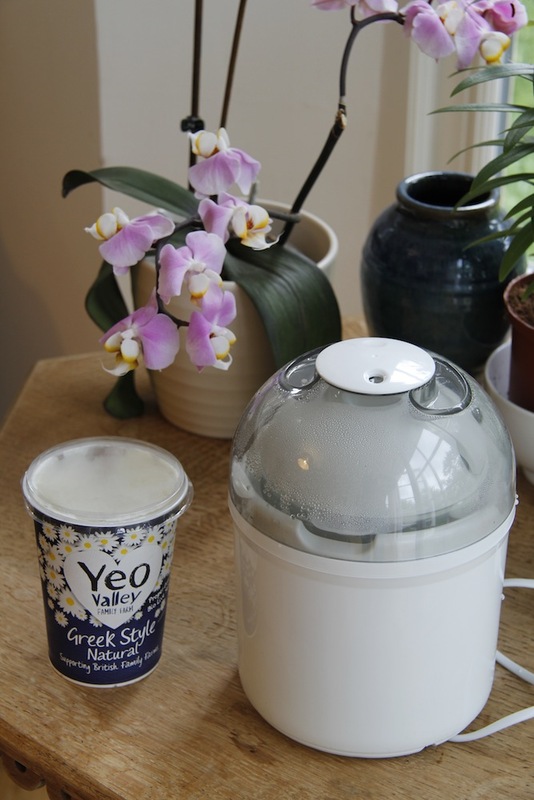 I then popped it in the machine with 2 tsp of Yeo valley yoghurt and switched it on. You are meant to leave it for 8 hours, but I left mine for more like 16 hours. 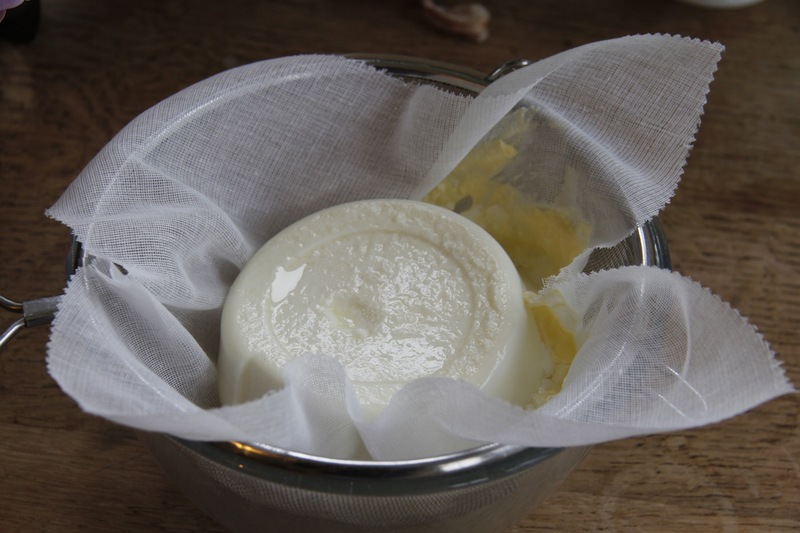 I like very thick yoghurt so I strained it through muslin after removing it from the machine – it became very thick – you could slice it. While this is nice for some things – especially having with fruit and honey, I might not drain it so much next time as occasionally I want a looser yoghurt. I fed the whey to the dogs who loved it. 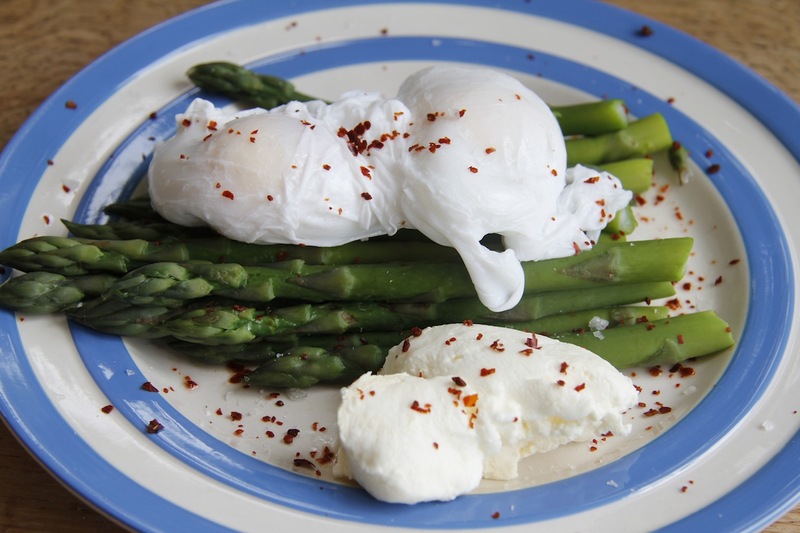 I also had the yoghurt for lunch one day with steamed asparagus, two poached duck eggs and some salt and Turkish rubbed chilli sprinkled on top. 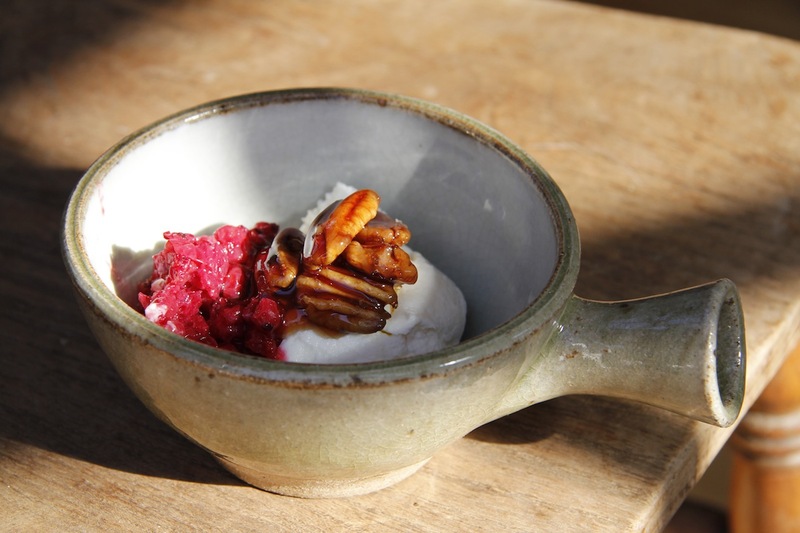 Yoghurt with berries, honey and nuts is amazing. I am guessing that you use your own honey? I can’t wait until e have some of our own honey as well. er, not exactly. The little blighters are a bit stingy with it. But when I have managed to scrape some off, I have used it. When I read your comment, I first thought it was sting -y – then I realised it was stingy – but both work I think. I am really excited about getting some honey from our bees – maybe this year? On Monday I had to do an emergency artificial swarm – such a steep learning curve this beekeeping malarky. Your blog is very helpful on the subject – I love reading it.